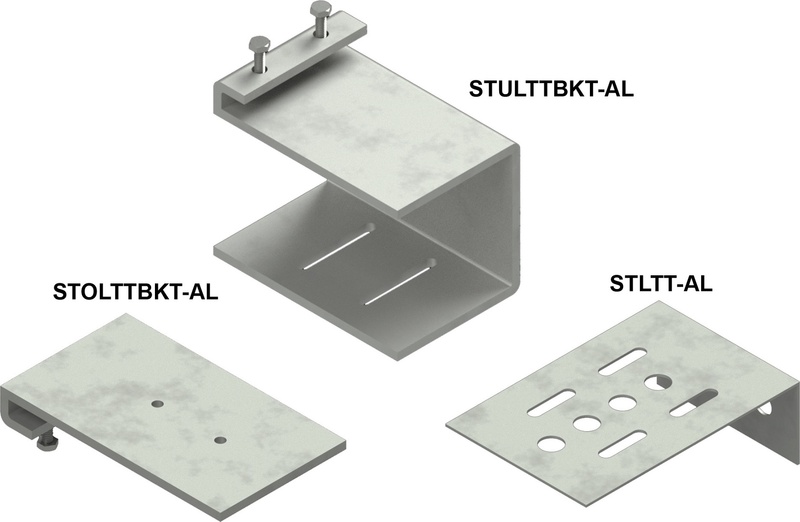 Snap Track offers several unique ladder style tray transition brackets. 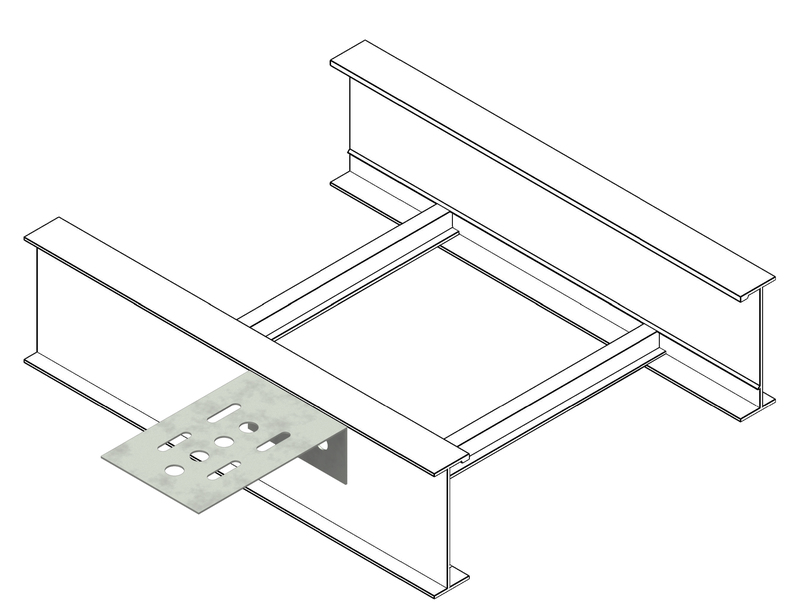 Our brackets allow the user to install to the top, bottom or side of the tray. 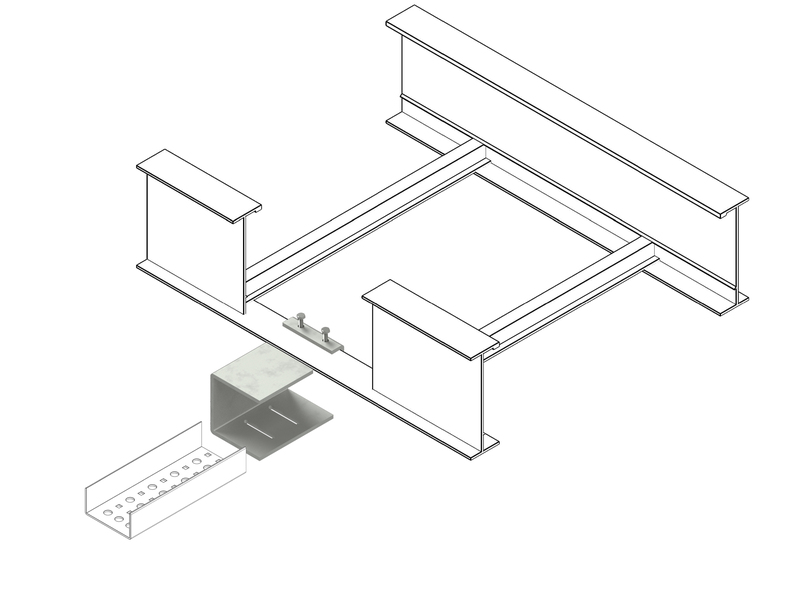 Snap Track can run perpendicular or parallel to the ladder tray and can transition to radius fittings. Snap Track Ladder Tray Transition adapts ladder tray to Snap Track Cable Tray, providing an easy-to-install transition from one to the other. 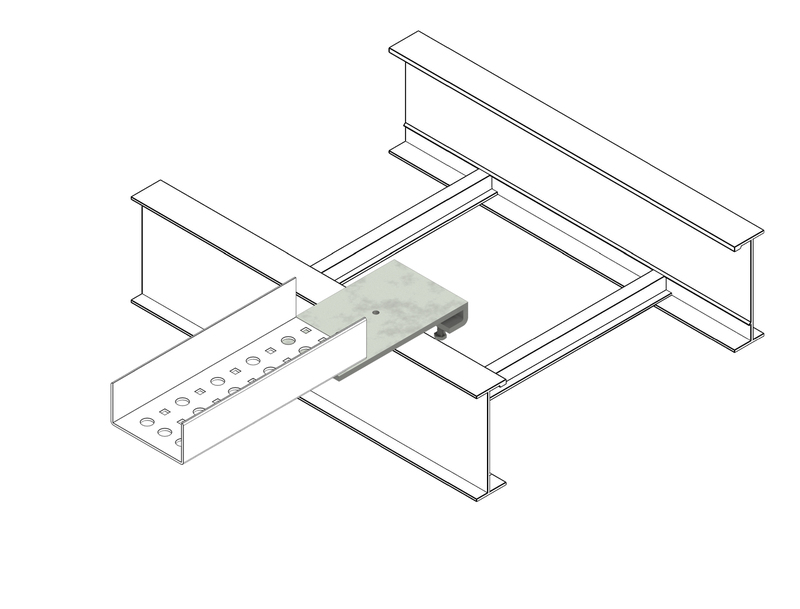 Bolt Transition Bracket a minimum of 2.5” below the bottom lip of the ladder tray side rail top flange. Either horizontal or perpendicular Snap Track cable tray runs can then be attached with (2) Push Pins. (2) Patented Push Pins are provided for a secure attachment.